Kuhlman Law, PLLC fights to protect the constitutional and human rights of citizens of this country and Minnesota. Have you or a loved one experienced harassment or discrimination at work or have you been wrongfully terminated? Despite its prevalent use in our country, the word “justice” can be difficult to define and even harder to come by today. Kuhlman Law, PLLC was founded to give those who feel that they have been marginalized by the actions of others the justice they deserve. I fight each and every day to help those who have experienced discrimination, harassment, or have been wrongfully terminated at work the compensation they are entitled to. I represent those who have been severely injured by medical malpractice obtain the medical treatment and compensation they need to make a full recovery. I stand up for those whose civil rights have been violated. 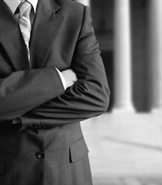 If you are interested in retaining a trial lawyer who will listen to your concerns and make them his own, provide you with the legal advice you need to quickly and efficiently handle your legal matter, and who will stand up for you throughout your case, contact me today to schedule a free and confidential consultation.